Lab Packing Services, Pharmaceutical Medical Waste Disposal Companies, Crime Scene Cleanup, Miami, Fort Lauderdale, Orlando, West Palm Beach, Jacksonville, Lakeland, Tampa, Gainesville Universal Waste Disposal – Harmony Environmental Inc.
Florida’s Universal Waste Rule covers the following wastes: batteries (e.g., certain lead-acid batteries not recycled under other regulations; button silver-oxide and zinc-air; and 9-volt, C, AA, coin, and button rechargeable lithium); pesticides; mercury containing devices (e.g., thermostats, switches); and electric lamps (e.g., fluorescent, high intensity discharge, sodium vapor, and mercury vapor). Certain other battery types (e.g. alkaline and carbon zinc cells that have been manufactured without mercury) may not be classified as hazardous wastes, and would therefore not fall under the Universal Waste Rule. 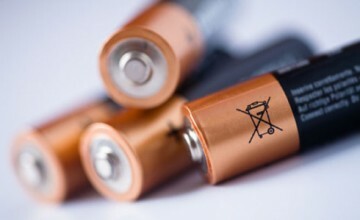 Harmony Environmental Inc. can properly dispose of all types of batteries. These batteries are found in cars, boats, electronics, computers, cell phones as well as monitoring devices for the health care industry. Batteries contain metals, lead and acids that are toxic and must be disposed of in a place other than a municipal or commercial landfill. 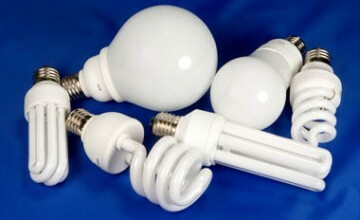 Fluorescent light bulbs and other types of lamps also contain mercury. Ballasts are the electrical component which holds the fluorescent light bulbs. Both must be properly disposed. Harmony Environmental Inc. can properly dispose of the mercury containing material and provide proper documentation. Electronic devices contain a number of hazardous elements, such as lead, mercury, arsenic, cadmium, chromium and silver. Computer batteries also may contain nickel- cadmium, lithium, or sealed lead acid. These constituents are not a concern when the equipment is in use, but they can migrate if disposed in a landfill, potentially contaminating groundwater and soil. For a FREE Waste Management Assessment on your Universal Waste please complete our contact form here or give us a call at (888) 849-0227!